Loann and Art talk a whole episode of Wonder Woman. This movie was high on both our lists of most anticipated summer movies, and we've both seen it and are ready to weigh in. 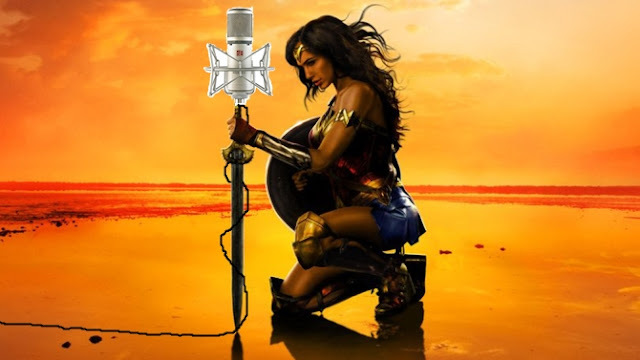 In this show we also talk about Wonder Woman in the culture- her history and what was riding on the success of this latest incarnation of America's first female superhero! *We do not spoil any major plot points, surprises or twists. However, as always, we do warn listeners that we review the movie in-depth. We don't reveal anything much beyond what people could gather from watching a trailer for the film, or reading a typical movie review. If you're a moviegoer who doesn't even like watching trailers, come back and listen to our discussion after you've seen the movie!